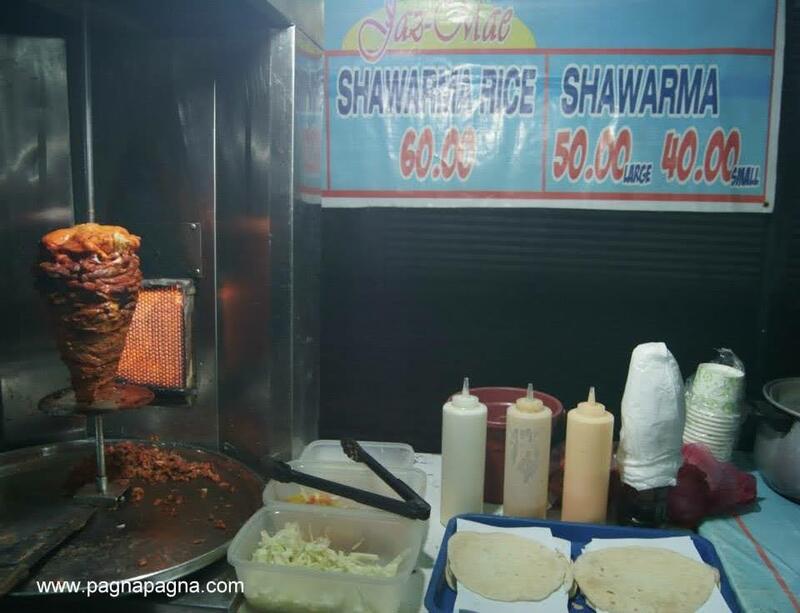 "When in La Union, after a day's adventure and needs something to eat... Well, this might be the answer to your cravings for street foods"
It's been raining for almost two weeks now in this part of the country. I found myself sheltered under a building's sidewalk canopy. Wet, wet, wet ,,, it was still raining. 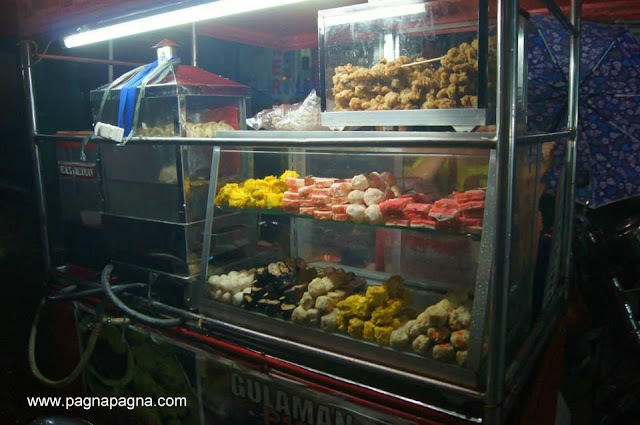 I intentionally went there to observe the "Night food strip" or "Night market" located along the old public supermarket or regarded as the dry market. 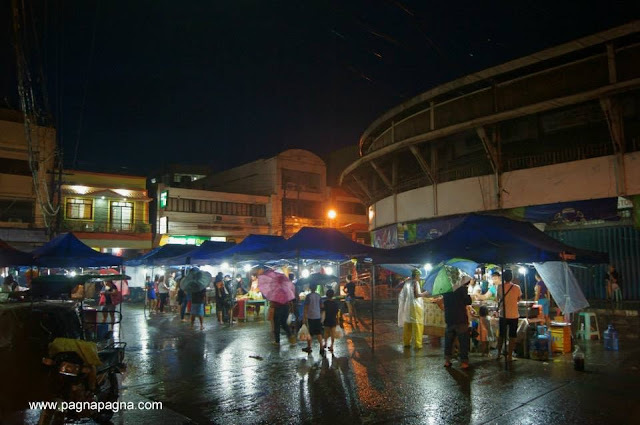 The wet market is where meats and vegetables are being sold, located at another building some two blocks away westward. 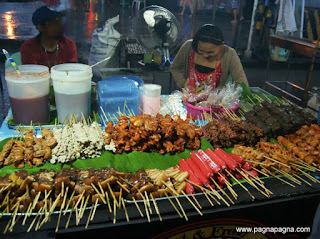 Still raining, I watched as they started to build and assemble their food stalls. After a while, I went near one of the grille stands and asked for their prices. and hotdog - 15 pesos. 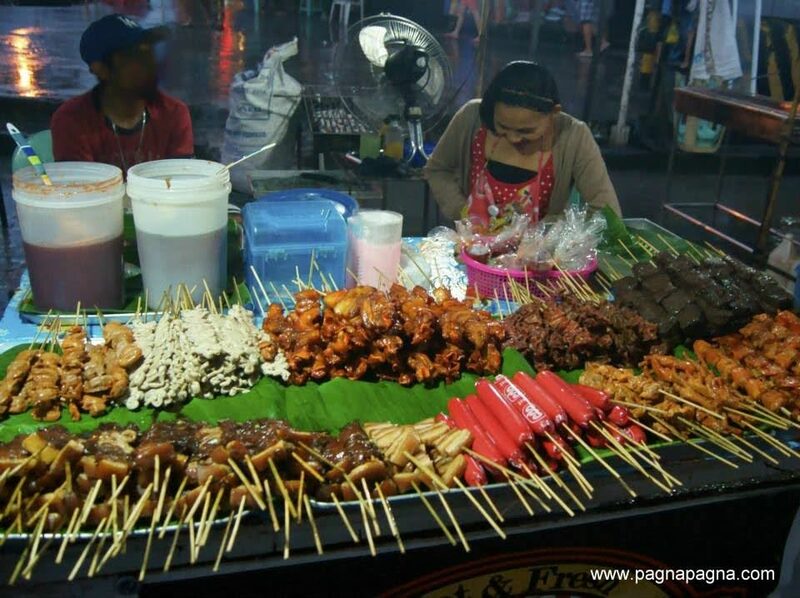 The balut vendors were located near the national highway along with some stands of fishballs, different dumplings, shawarma, empanadas and more followed by the different food stalls of ready to eat dishes from dinengdeng (native ilocano vegetable dish), arroz caldo, mami (noodles) to the heart-pumping pork meat dishes. You can take it home or eat them at the sidewalk-open-air dining area of some mono-block chairs. At that time, the place was not that crowded and some food stall spaces were vacant probably because of the two week-long rain. Just to add some more insight, here were some photographs taken way back January of year 2013. 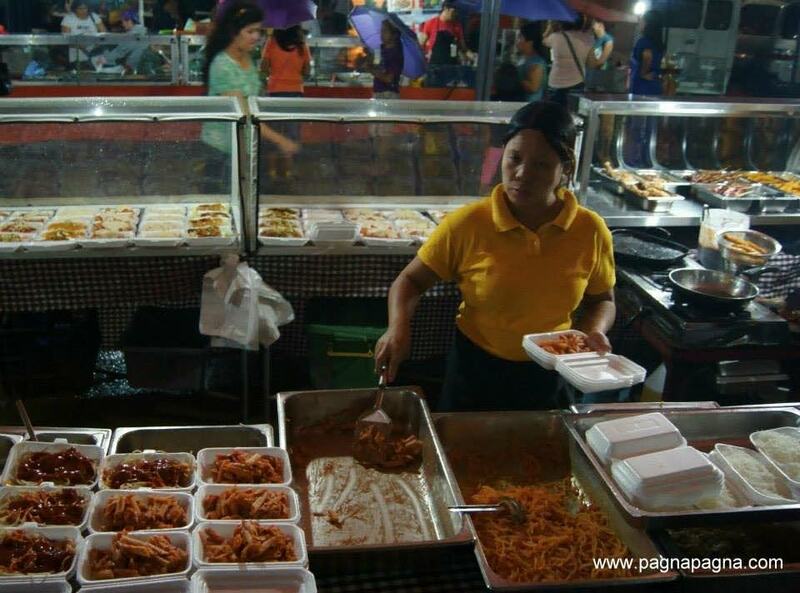 They said that the "Night food strip" starts at around 6 o'clock in the evening until early morning around 1 o'clock or as early as their cooked foods get sold. As for me, at around 8 o'clock in the evening, I went to Home Sweet Home.